A brief feedback to the builders response on the Nomex 164 design. 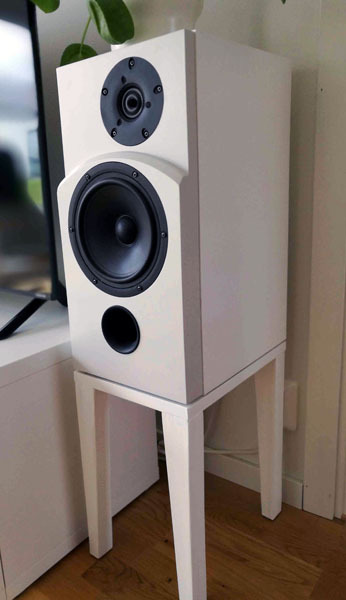 This is an amazing speaker with stunning sound! It plays music of any genre with great detail, ease and extreme dynamic. And it plays film too, no sub is needed. In this cost range, it is really really interesting design. Being an open design allows for extra cost reduction in components. I built the 40 litre version, but for a nicer look/form I opted for a 210 mm width cabinet. The 38 mm thick baffle is 205 mm, with generous radius. So all in all, it comes close to the nominal 200 mm. Tilt is 3 degrees but I think 5 is even better. For the filter I used Janzen air coils and Janzen Cross Cap for bass and parallel positions and Audyn Plus Cap for series positions. That allowed me to cut cost while keeping most of the sound quality. Colour is light grey on cabinet and grey baffle, using the colour of the Nomex driver as a reference. For a moment I actually contemplated building a stepped baffle, but that would probably introduce too many changes from the optimised and original design. 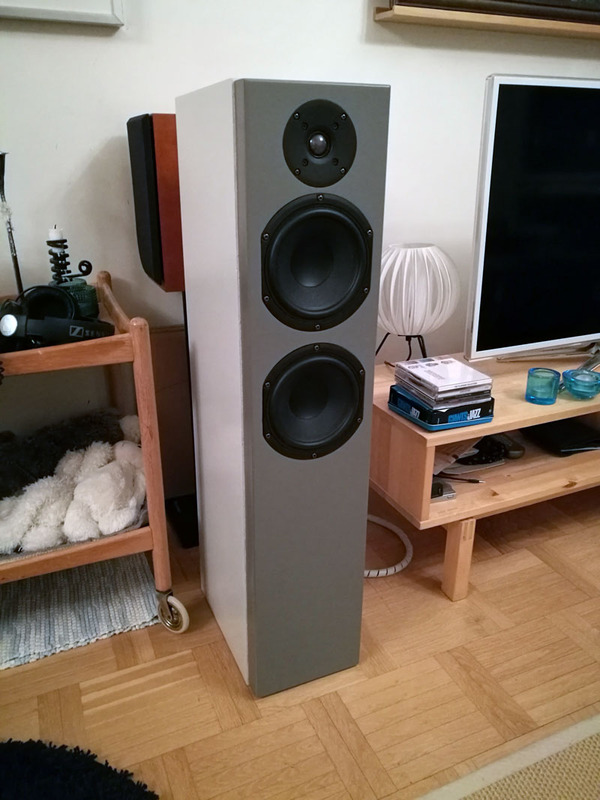 But a stepped baffle version and maybe another tweeter like the R version Scan Speak would be interesting to test. 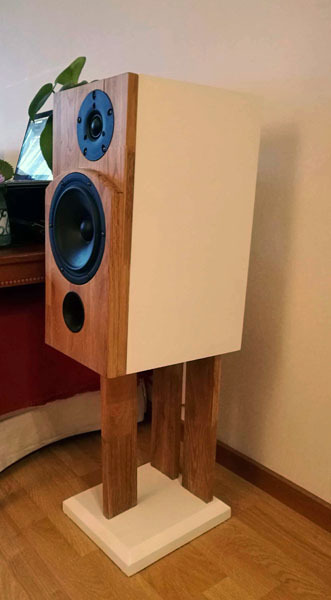 A short speaker stand version would look nice. Oops, did I just make a wish list for an MkII... Anyway. I am impressed by your design an since this is not my first build in your range I now feel confident I can pick just any of your designs with great result. Thanks again for your contribution. 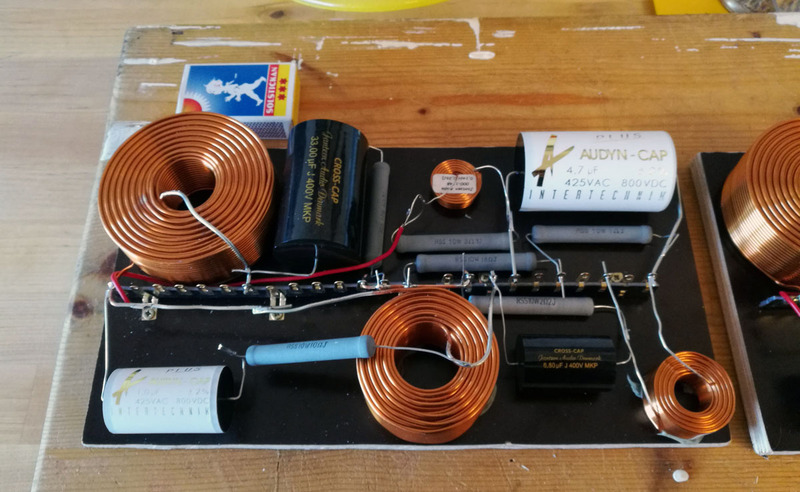 Here are a report of two versions of the 18W. They do sound good and I was happy to make two of them. The ring radiator version sounds a little better to my ears, more neutral and balanced in some way, but as stated in build pages the sonic differences between the two tweeter options are small. Integration between drivers are just great in both versions! This is easy built good sounding speaker. If I was to say anything picky, I think the midbass driver magnet/motor maybe is a little weak and do not allow bass control/grip by the amp or resolution in midrange. But that is when I do a harsh listening test using my present 2-way speakers, where the drivers would probably cost at least 3 times more, if they were to be built as diy. For the filter versions I opted for the better caps.